According to a new report, 84% of consumers say a Jobs-less future would not change their Apple-buying habits. 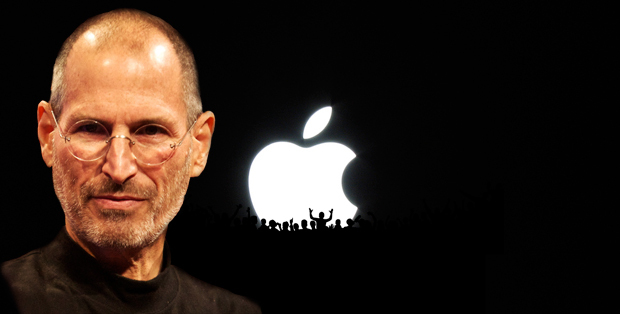 Last month Apple announced that its founder, CEO, and resident ninja Steve Jobs would be taking a medical leave of absence. As soon as the news leaked, the tech world went bonkers over how Apple would fare without its super star chief exec at the helm. Would Apple’s image be tarnished? Could it remain as innovative? Would its value and stock share begin to fall? Well, according to a new report from RBC Capital Markets and ChangeWave, Apple may actually have nothing to worry about, beyond Jobs’ personal well-being. In the survey, some 3,091 respondents were asked whether their interest in purchasing Apple products would diminish if Steve Jobs were to depart. An astonishing 84% of those surveyed said his departure would have no effect at all on their future Apple-buying intentions, while another 8% were unsure if it would have an effect. Just 7% of respondents said they’d be less likely to buy Apple products in the future. Those promising figures have risen over the years, likely boosted by Apple’s strengthened market position. In June of 2008, only 68% of respondents said Jobs’ absence would have no effect on their decisions to buy Apple products–while 18% said they would be less likely to purchase its products in the future, and another 14% were unsure. Since then, thanks to the resounding success of the iPhone, iPad, and App Store, it appears consumers have become far more comfortable with (or addicted to, as the case may be) Apple, regardless of whether its founder is still running the show. And it might not simply be the magical aura of Apple that will keep fans around for years to come. As analysts pointed out, Apple has near-unparalleled management in the industry–if Jobs’ were to permanently leave, many have confidence that potential successors like Tim Cook would be able to effectively take up the reins. In fact, Apple Insider points out that the last time Jobs went on medical leave, the company’s stock managed to jump 144% and revenue increased by 20%. And despite its fearless leader taking leave this last earnings call, Apple still boasted $26 billion dollars in revenue, crushing Wall Street estimates. Of course, a strong case could be made that both periods of earnings were riding Jobs-ian waves, from the 25 million iPhones shipped during his last medical leave to the 7.3 million iPads sold during this past quarter. The question isn’t whether consumers are likely to continue purchasing Apple products without Steve Jobs; rather, the question is what those Apple products will look like without Steve Jobs. To keep the cult of Apple alive, the company must continue to imagine industry game-changers such as the iMac, iPod, iPhone, and iPad–and avoid producing anything like a Newton.